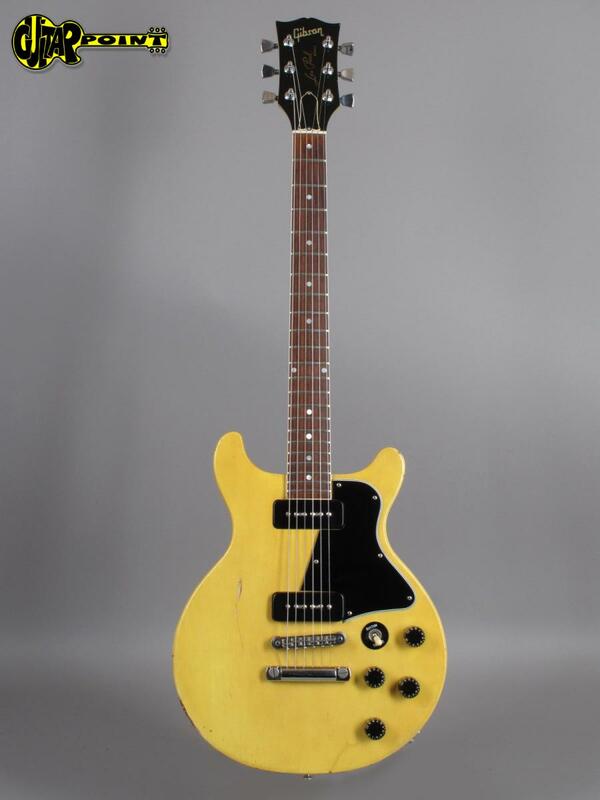 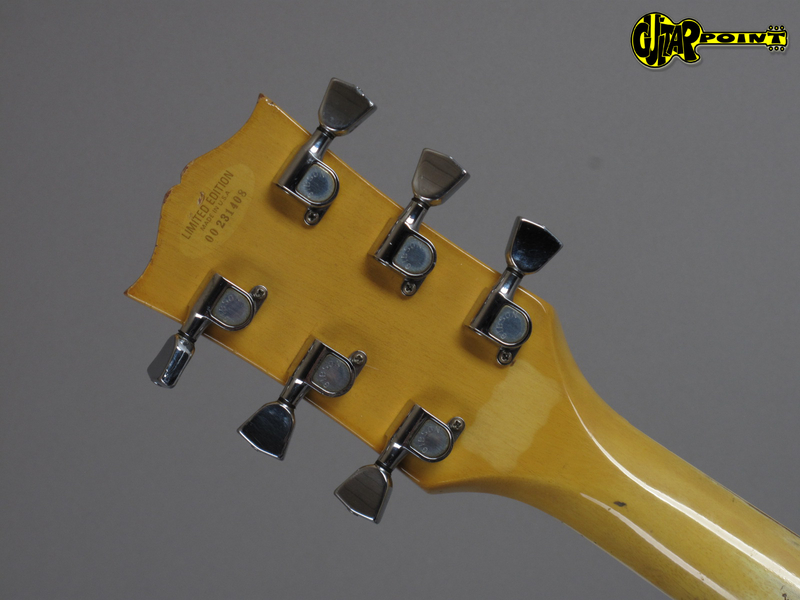 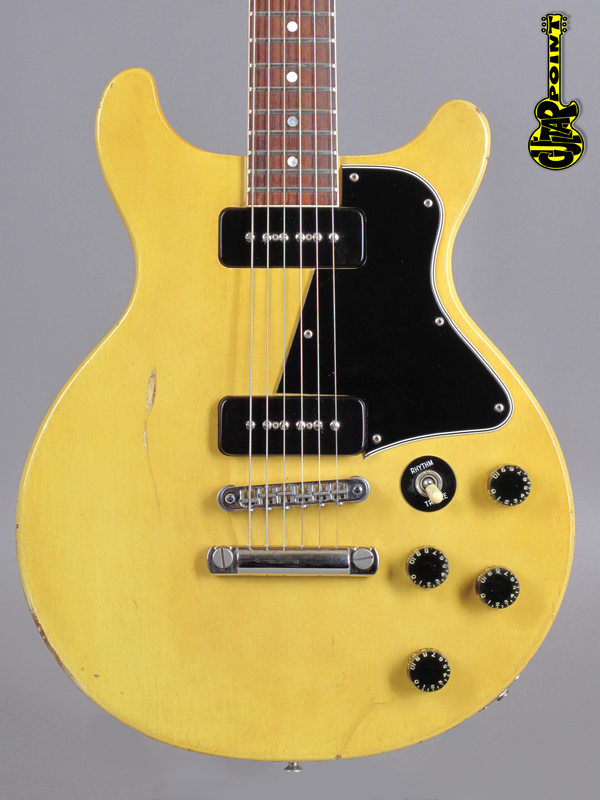 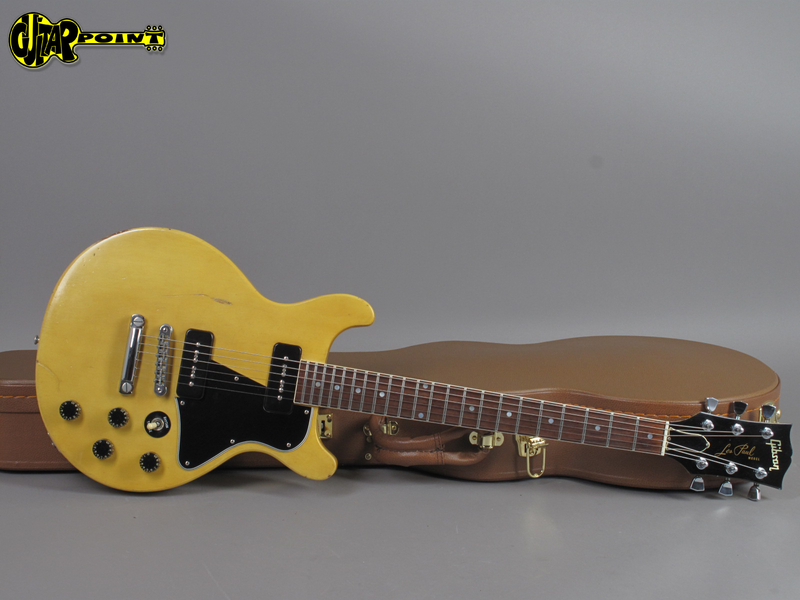 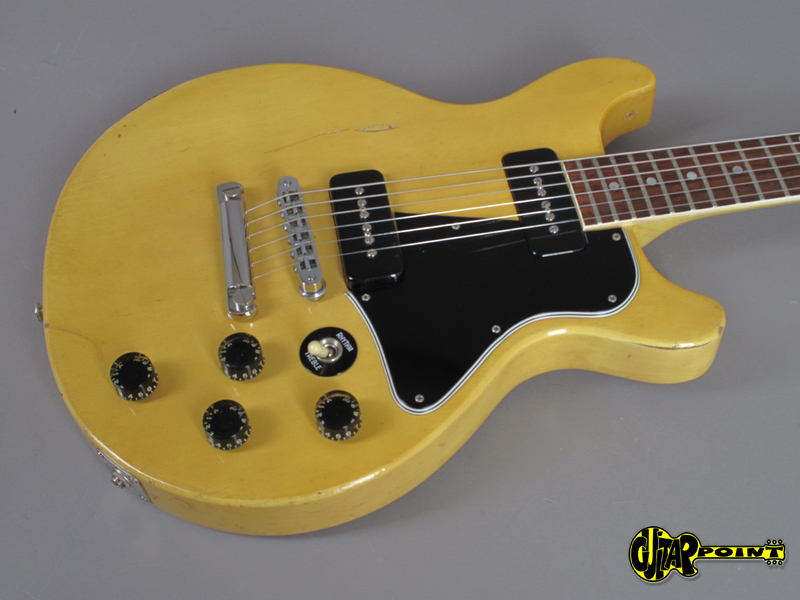 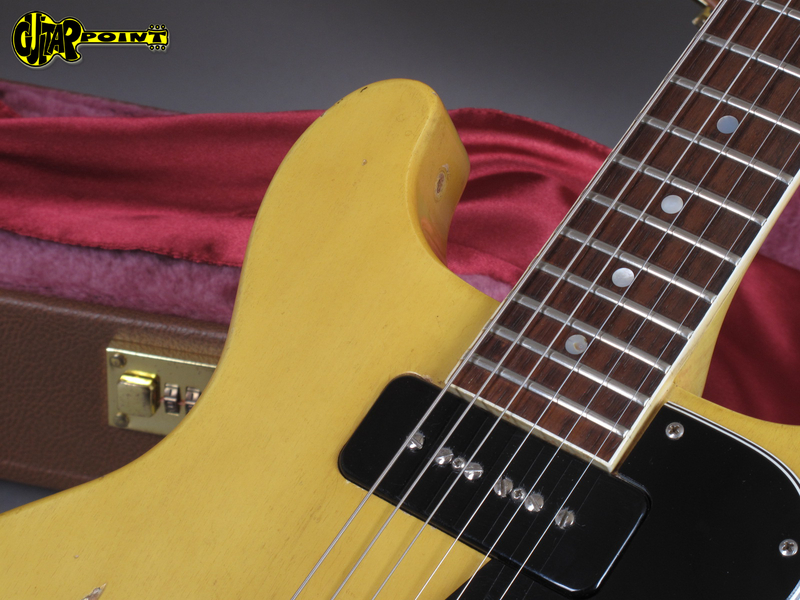 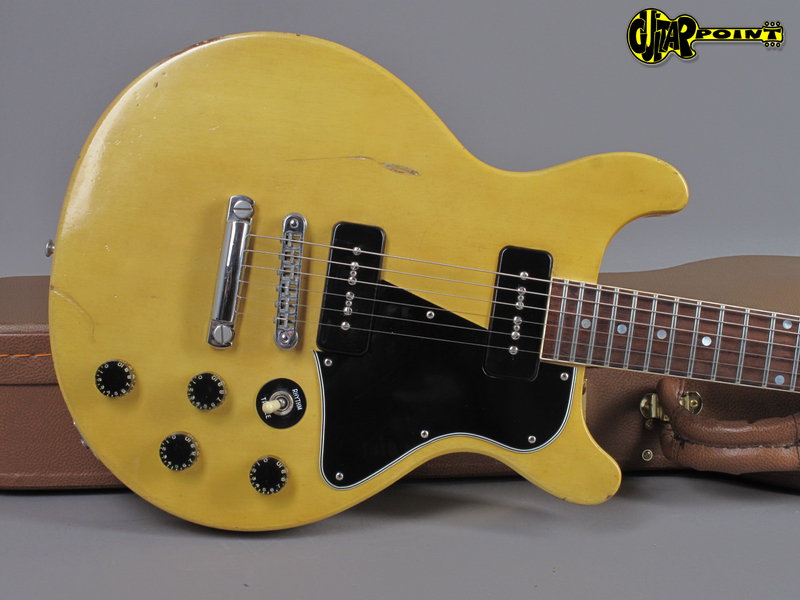 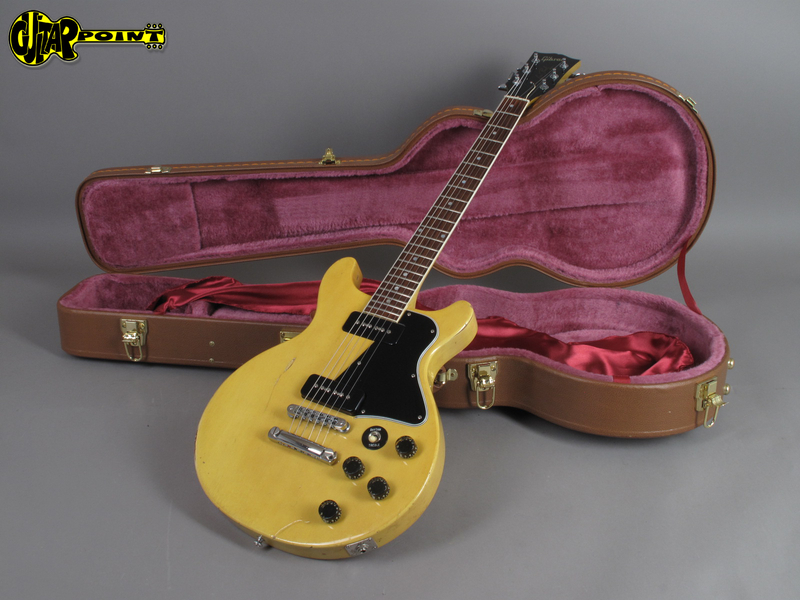 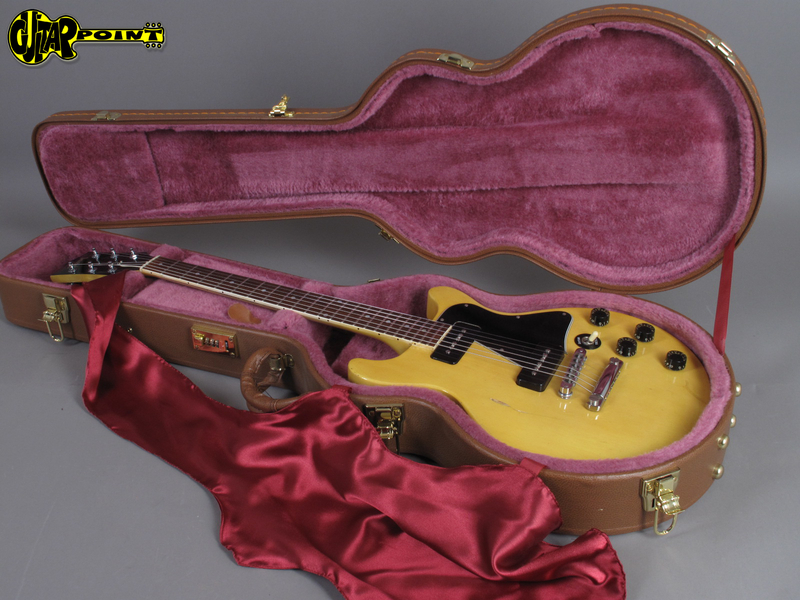 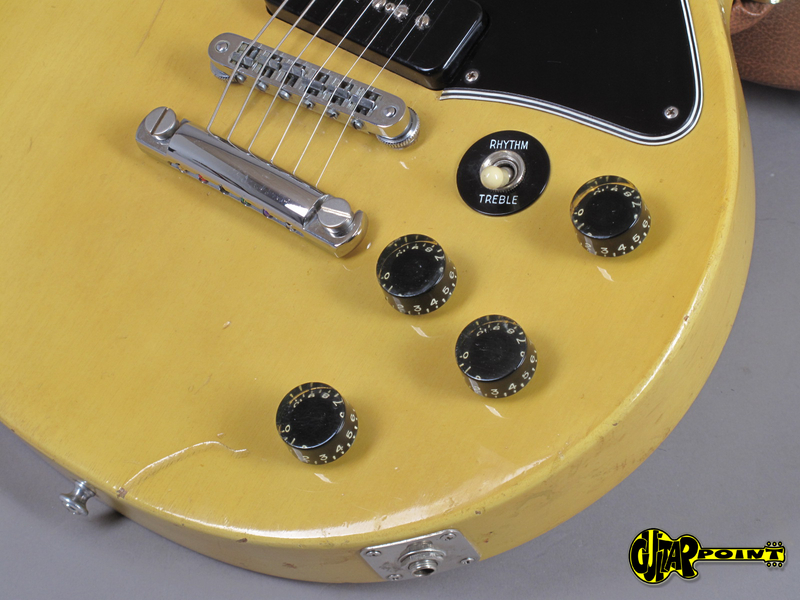 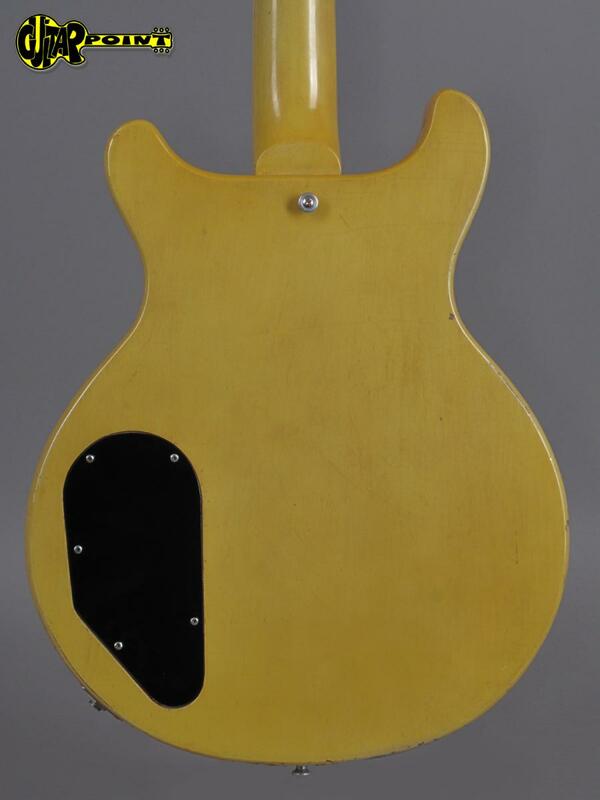 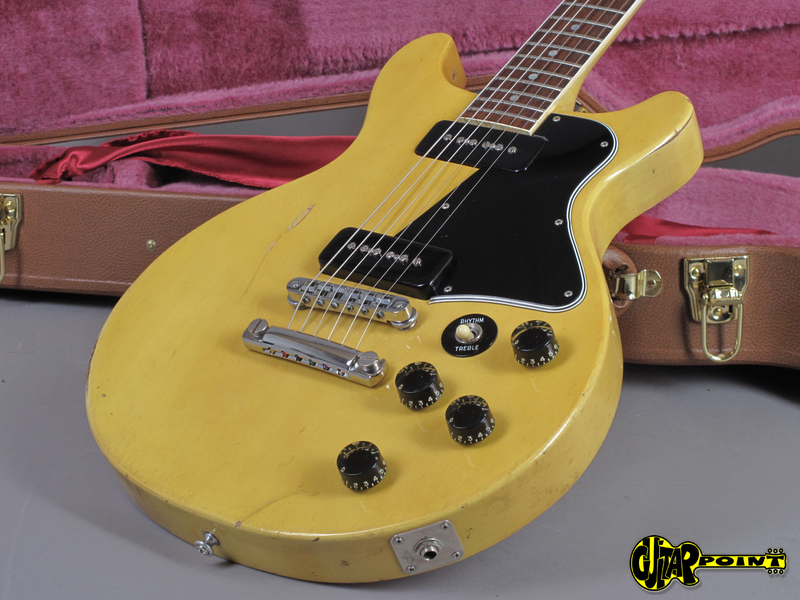 Gibsons first Reissue of the 50s Les Paul Special Doublecut in rare Limited Edition TV-Yellow. 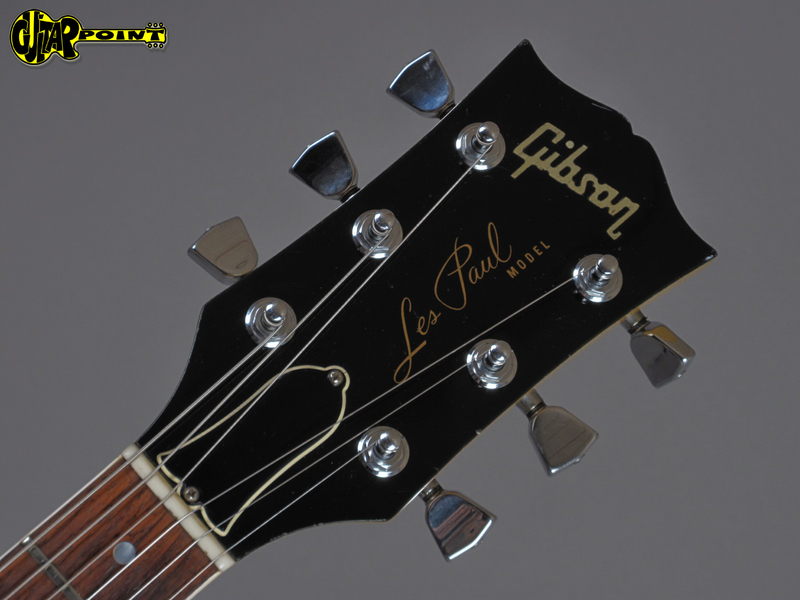 The guitar has been played but it's still in great condition without any cracks or repairs. 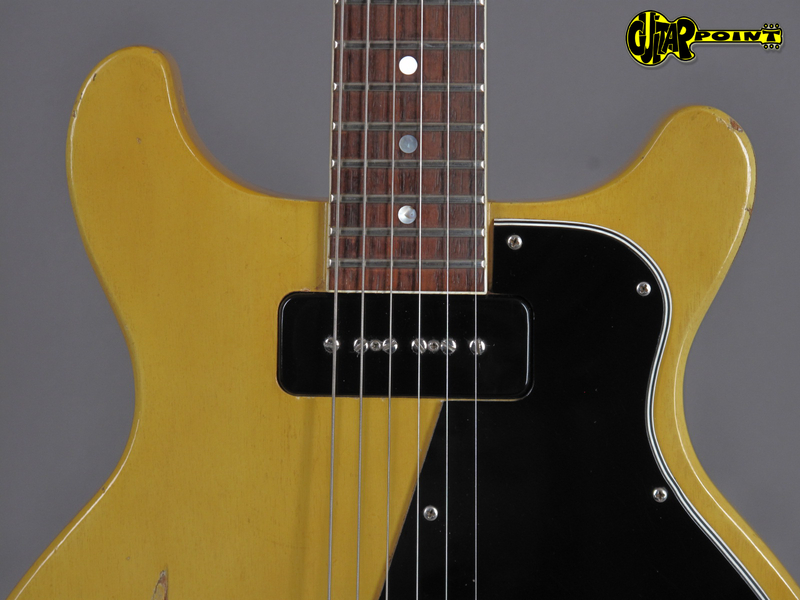 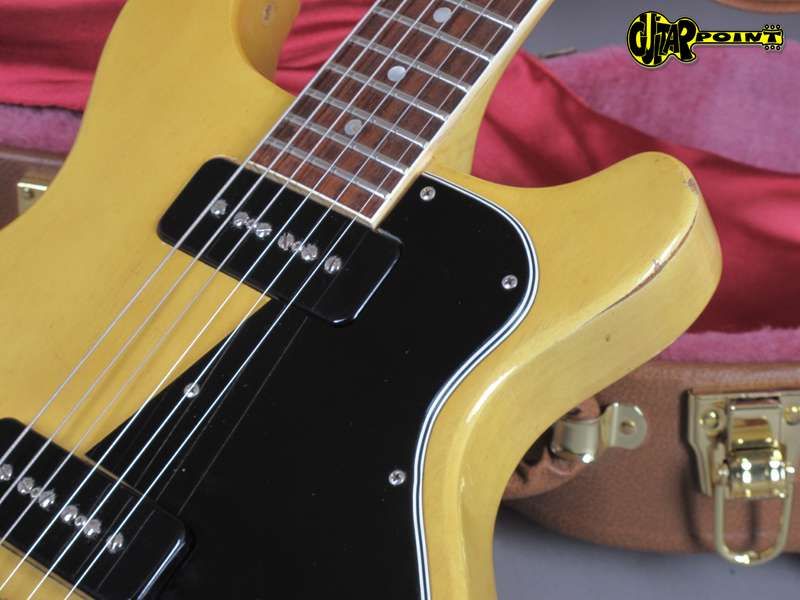 The pickups has been changed to later aftermarked P90s - we can't tell what brand but the sound terrific! 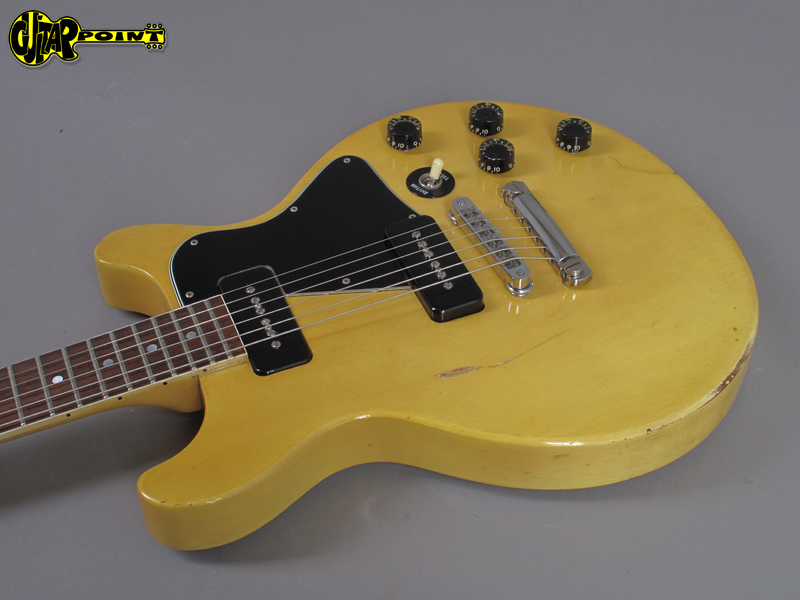 The serial number is typical 1976 but the pots date to early 1977 (137.77.18). 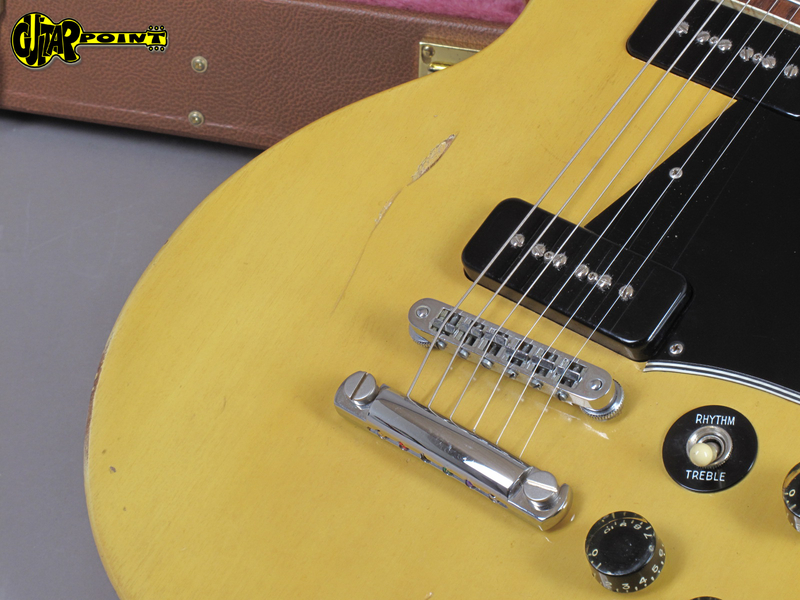 It's lightweight with 3,32Kg and it's just a great rocker! 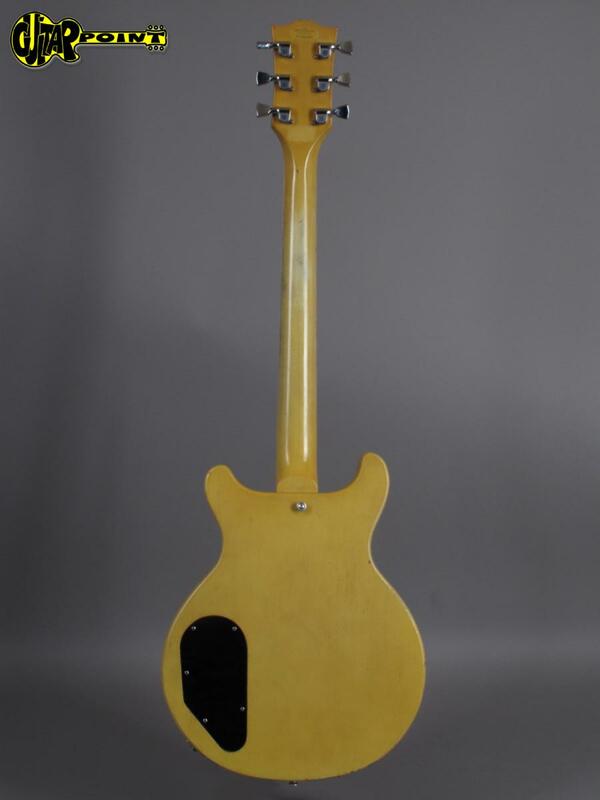 The original frets are still on and have enough meat left. 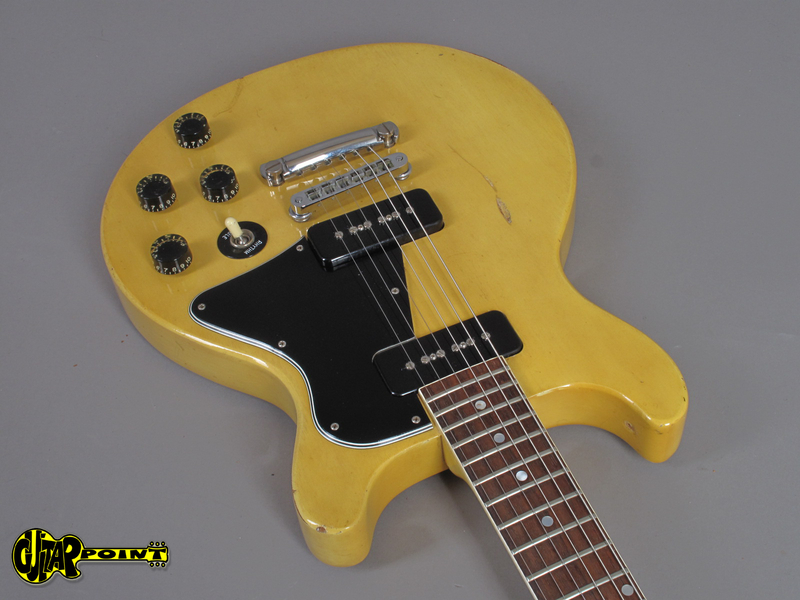 Comes in aftermarket case.